After visiting many monasteries and saints throughout Egypt, the Holy Land and Asia Minor, St. John Cassian went to Rome, where he accepted the invitation to found an Egyptian-style monastery in southern Gaul, near Marseilles. He arrived in Marseilles around 415. He founded a complex of monasteries for both men and women, one of the first such institutes in the West, and served as a model for later monastic development. It is believed this establishment was the Abbey of Saint Victor, or it was located nearby. Cassian died in the year 435 in Marseilles. Like the great majority of recognized saints of the Roman Catholic Church, he is not one of the saints in the General Roman Catholic calendar of saints for celebration everywhere, but the Archdiocese of Marseilles and some monastic orders celebrate his memorial on his feast day, which in the West is July 23rd. Although he is generally recognized as a saint by the Catholic Church, he is little celebrated probably due to his opposition to certain teachings of Augustine which were embraced by Catholicism, although not accepted by the Orthodox Church, being in full agreement with St. John Cassian. In the Orthodox Church he is generally celebrated on February 29th. 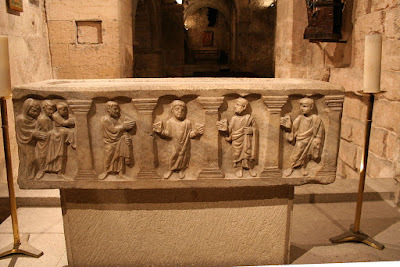 St. John Cassian's sacred relics, which were said to have worked many miracles, are kept in an underground crypt in the Abbey of Saint Victor in Marseilles. 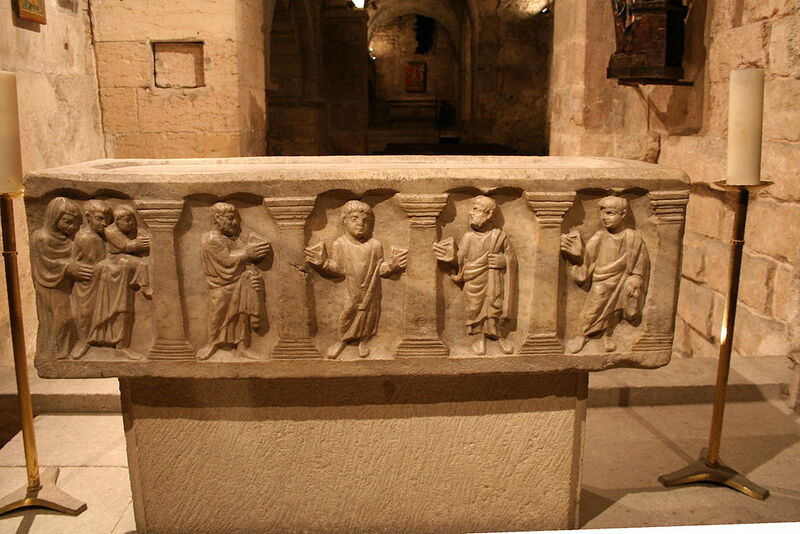 His sarcophagus is there together with his head and right hand. 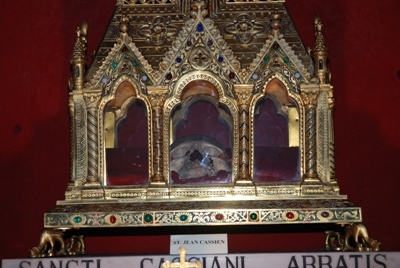 Other portions of the relics and skull of St. John Cassian are also said to be preserved in the Church of Saint Cassian in Nicosia, Cyprus.